More than 34 OSCAR (Oil Spill Containment and Recovery) response units are placed strategically within the WCSS operating areas. All units meet a minimum WCSS standard and are equipped to meet the needs of the Co-op members in the area. Inventories are done annually or after the equipment is used, and area equipment needs are assessed on an ongoing basis. There are three main classifications of spill response units. Coop OSCAR units are a smaller version of the Regional units and have been equipped to meet the needs of the specific area. 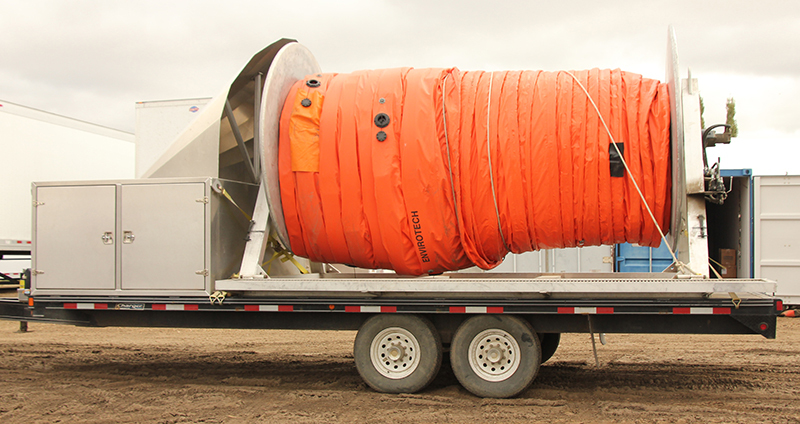 There are between 1 and 6 units in each of the 18 Oilspill Cooperatives. These units vary in size but typically contain at least 122 meters of boom along with rope, skimmers, pumps and sorbents. These units are trailers that require a 1 ton truck c/w 2-5/16 ball or skid units that require a flat deck or lowboy to haul. 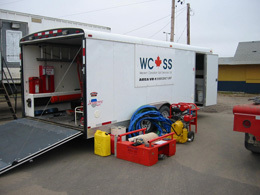 Regional OSCAR units are 45 to 54 ft trailers and Sea-cans strategically placed within WCSS' jurisdiction. 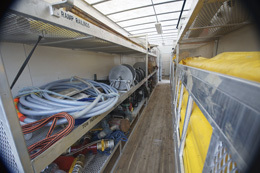 These are the largest equipped units in the fleet and contain at least 300 metres of boom along with pumps, skimmers and hardware designed to contain and recover a hydrocarbon spill in surface water. 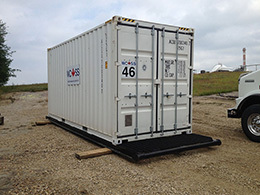 These units require a semi-trailer truck to haul. 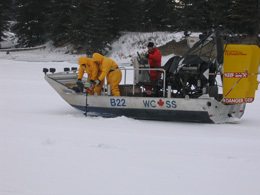 Winter OSCAR trailers contain ice assessment and cutting equipment, safety equipment, hardware and other specialized equipment for recovery of oil from under an ice sheet. They are typically 16 ft long and require at least a 3/4 ton truck with 2-5/16 ball. 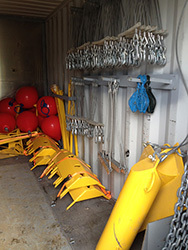 Three 40ft lake boom Sea-cans are available which store specialized boom designed for rougher, wavier water. 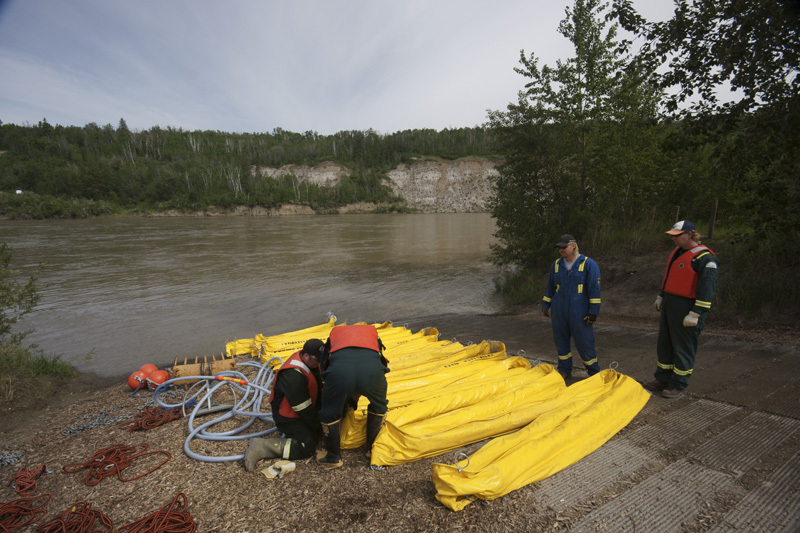 This boom is bigger than conventional river boom. It has 30 cm of skirt and 30 cm of sail or freeboard. 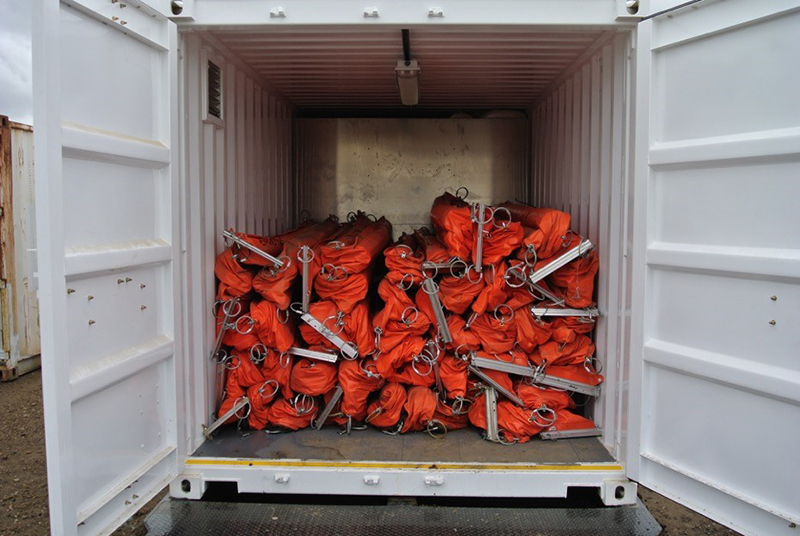 There is a total of 3,100 meters of boom in the 3 Sea-cans. 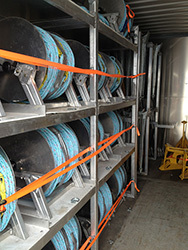 There is also 580 metres of inflatable lake boom on a 20ft boom reel trailer. 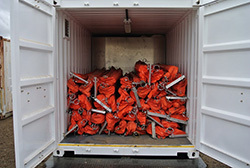 Sea-cans contain 900m of River Boom and all associated equipment required to install boom.